Ina Garten's barn in New York. but I thought we could all use a dose of it again! I found some hideous photos of our home before all the remodels. Check back later for some really bad shots! I feel my cooking would be MUCH better if I had that barn to inspire me. Lucky Ina! I know!! Isn't that just STUNNING.....just lovely & calm & pure beauty. Soooo beautiful!!!! I wanna see before pictures! 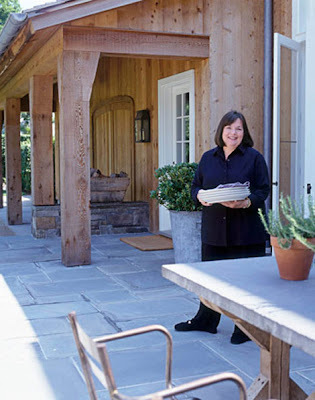 I LOVE Ina Garten and what a beautiful barn! I wish me and Ina were old high school friends...I would love to visit her!!! She is great and I love love love the barn!! !